Major Depressive Disorder (MDD) consists of recurrent depressive episodes characterized by low mood, poor concentration and energy, disturbance of sleep and appetite, loss of interest in previously pleasurable activities, and feelings of guilt or shame. Depression may result in suicide or suicide attempts for many people. The depression symptoms of Bipolar Disorder are similar to Unipolar Depression (also called Major Depressive Disorder or MDD) and may include an individual being withdrawn from family and friends, showing noticeably little interest in usually pleasurable activities, and perhaps a significant change in weight or sleep. Persons with Bipolar Disorder also tend to have low energy levels during their depressive periods, and may have a hard time concentrating. In its most serious forms, these periods may result in thoughts of death or suicide. Depression symptoms of Bipolar could be managed by TMS treatment after manic symptoms control. TMS is being successfully used to treat some of the depression symptoms associated with schizophrenia mainly negative symptoms. Auditory hallucinations have been shown also to be reduced with TMS, and other symptoms such as social withdrawal have been ameliorated as well. *At this time, TMS is not FDA-aproved for the treatment of Schizophrenia, which would be considered an off label application. Experiencing or witnessing a traumatic event such as a disaster, war, torture, accident, fire or violence may lead to PTSD. The traumatic event is re-experienced through recollections, dreams, and feelings. Persistent avoidance of stimuli associated with the trauma is common. TMS may have a role in controlling symptoms of PTSD. Patients suffering from depression that also have anxiety components like PTSD can receive a large reduction in anxiety levels, simply as a result of the treatment protocol used in the treatment of Depression. However, in some cases, therapeutic benefit is not fully achieved from depression treatment protocols alone. In this case, supplementary right-sided TMS therapy protocol for Anxiety can be provided. The therapeutic application of TMS for anxiety disorders is best understood through Neuroimaging studies. These studies demonstrate that anxiety is visible through elevated activity of the right frontal and hippocampal-parahippocampal regions of the brain, thus low frequency TMS is helpful in reducing hyperexcitability. RDLPFC treatments decreased anxiety symptoms by 78% and panic symptoms by 59%, with benefits remaining at one month follow up (Zwanzger et al., 2002). Treatment-resistant Post Traumatic Stress Disorder was also markedly improved with TMS treatments to the RDLPFC (McCann et al. 1998). Noninvasive brain stimulation with high-frequency and low intensity repetitive transcranial magnetic stimulation for posttraumatic stress disorder. Boggio PS, Rocha M, Oliveira MO, Fecteau S, Cohen RB, Campanhã C, Ferreira-Santos E, Meleiro A, Corchs F, Zaghi S, Pascual-Leone A, Fregni F. J Clin Psychiatry. 2010 Aug;71(8):992-9. Epub 2009 Dec 29. Effect of transcranial magnetic stimulation in posttraumatic stress disorder: a preliminary study. Grisaru N, Amir M, Cohen H, Kaplan Z. Biol Psychiatry. 1998 Jul 1;44(1):52-5. Repetitive Transcranial Magnetic Stimulation for Posttraumatic Stress Disorder. McCann et al. Arch Gen Psychiatry.1998; 55: 276-279. *At this time, TMS is not FDA-approved for the treatment of PTSD, which would be considered an off label application. Stroke, or cerebral infarction, is one of the leading causes of mortality in the world after heart disease and cancer, and is the leading cause of adult disability. A stroke is caused by a loss of blood supply to the brain, due to an obstruction of a blood vessel. Oxygen deprivation can lead to irreversible damage to the brain – the severity of damage depends on the duration of deprivation. Cerebral infarction damages brain tissue, and leads to neurological deficits and functional impairments according to the brain area that was damaged. Cerebral infarction or stroke can lead to limb paralysis, speech impairment, visual acuity or field deficits, or sensory impairment. Current treatments: The only FDA-approved therapy for stroke available today is treatment with tissue plasminogen activator (TPA), a substance that opens obstructed blood vessels. There is a time window of 3.5-4 hours after the onset of a stroke during which this treatment is effective. Transcranial magnetic stimulation (TMS) can non-invasively stimulate the release of neurotrophic factors (such as BDNF) from nerve terminals in the brain, which can strengthen synaptic connections in relevant brain areas and even stimulate cellular regeneration. A number of studies have established the safety of treating stroke patients with TMS, and have shown that this treatment improves post-stroke recovery. Also, it has been found that TMS therapy in conjunction with physical therapy significantly improves the rate and extent of rehabilitation. TMS has been shown to have a rapid therapeutic onset for treating various neural disorders with extremely mild or no side effects. TMS is a safe, effective and rapid-acting treatment modality that works by using electromagnetism to stimulate specific parts of the brain. The human brain is an electrical organ that functions through transmitting electrical signals from one nerve cell to another. Transcranial Magnetic Stimulation therapy can stimulate neurons to restore them back to normal functioning. “Fibromyalgia syndrome is a widespread musculoskeletal pain and fatigue disorder. Transcranial magnetic stimulation ( TMS therapy), raised quality of life and emotional and social well-being among patients suffering from the condition, the researchers found in multiple research studies. “This improvement is associated with an increase in brain metabolism, which argues for a physical cause for this disorder and for the possibility of changes in areas of the brain to improve the symptoms,” said lead researcher Dr. Eric Guedj, of Aix-Marseille University and the National Center for Scientific Research, in Marseille. “Previous studies in patients with fibromyalgia have suggested an alteration of brain areas is involved in the regulation of pain and emotion,” he said. This study demonstrates that it is possible to modulate these brain areas using transcranial magnetic stimulation to correct brain abnormalities and improve patients’ symptoms. Short EB, Borckardt JJ, Anderson BS, Frohman H, Beam W, Reeves ST, George MS. Ten sessions of adjunctive left prefrontal rTMS significantly reduces fibromyalgia pain: a randomized, controlled pilot study. Pain. 2011 Nov;152(11):2477-84. Mhalla A, Baudic S, Ciampi de Andrade D, Gautron M, Perrot S, Teixeira MJ, Attal N, Bouhassira D. Long-term maintenance of the analgesic effects of transcranial magnetic stimulation in fibromyalgia. Pain. 2011 Jul;152(7):1478-85. Epub 2011 Mar 11. Borckardt JJ, Smith AR, Reeves ST, Madan A, Shelley N, Branham R, Nahas Z, George MS. A pilot study investigating the effects of fast left prefrontal rTMS on chronic neuropathic pain. Pain Med. 2009 Jul-Aug;10(5):840-9. Epub 2009 Jul 6. Defrin R, Grunhaus L, Zamir D, Zeilig G. The effect of a series of repetitive transcranial magnetic stimulations of the motor cortex on central pain after spinal cord injury. Arch Phys Med Rehabil. 2007 Dec;88(12):1574-80. Khedr EM, Kotb H, Kamel NF, Ahmed MA, Sadek R, Rothwell JC. Longlasting antalgic effects of daily sessions of repetitive transcranial magnetic stimulation in central and peripheral neuropathic pain. J Neurol Neurosurg Psychiatry. 2005 Jun;76(6):833-8. Borckardt, J., Reeves, S., Weinstein, M., Smith, A., Shelley, N., Kozel, F., . . . George, M. (2008). Significant analgesic effects of one session of postoperative left prefrontal cortex repetitive transcranial magnetic stimulation: A replication study. Brain Stimulation, 122-127. 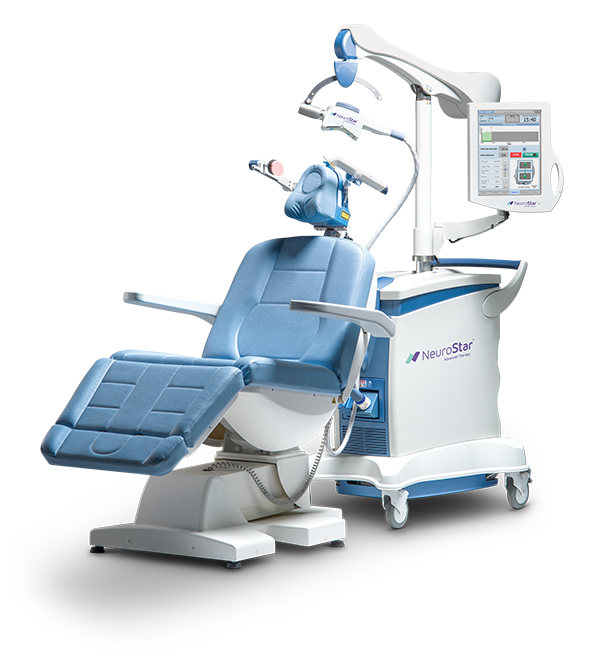 *At this time, TMS is not FDA-approved for the treatment of acute or chronic pain, which would be considered an off label application. If you feel like your migraines have too much control over your life, you are not alone. Many patients are not fully satisfied with drug therapy for migraine treatment or are frequently bothered by medication side effects. Now may be the time for you to consider a new direction. Care First TMS Center is excited to be offering TMS therapy as a treatment for migraine headaches. If you have at least one migraine per month, you may be a perfect candidate for this exciting new treatment option. 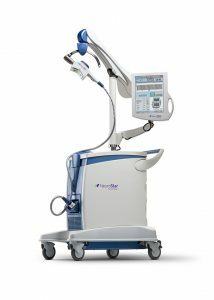 TMS has been successful at reducing the frequency and duration of migraines in patients. Relief from migraines was accomplished as a additional feature to the treatment protocols for depression. 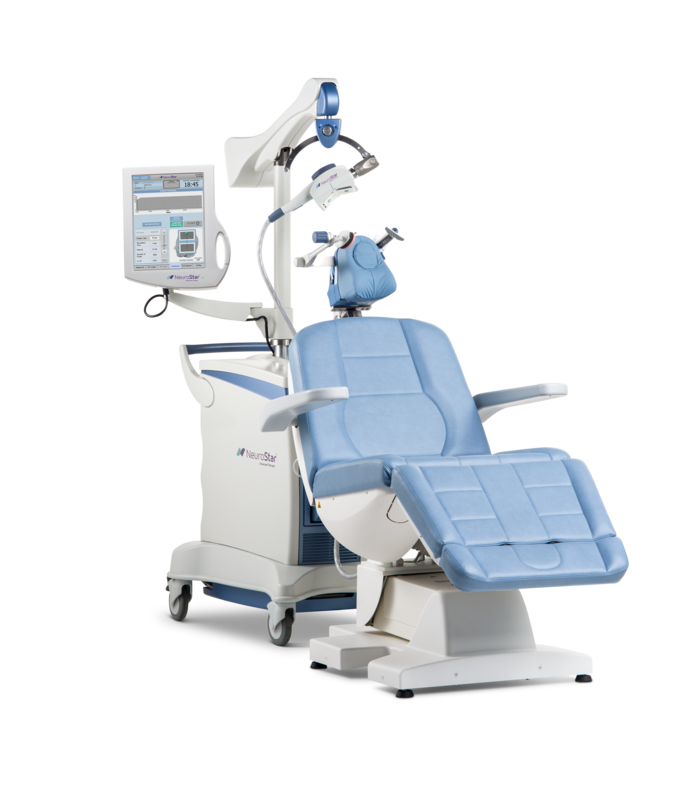 10-20 high frequency TMS treatments administered over the left dorso-lateral prefrontal cortex (DLPFC) are usually used. At Care First TMS Center, We recognize that depression could trigger more alcohol use as self medication. It’s crucial to manage depression symptoms as part of any alcohol or drug treatment program. For those who have tried antidepressant medication while using alcohol or any other drugs found the experience to be less than successful, Transcranial Magnetic Stimulation (TMS) may be just the right treatment to help achieve a more positive result. Pathological gambling is characterized by a persistent pattern of gambling despite negative consequences. Studies are currently under way to see if Transcranial Magnetic Stimulation can interrupt the drive to continued gambling despite a desire to stop. According to the American Heart Association, there are nearly 50 million smokers in the United States. The health and financial burdens are well known, but for many, even an intense desire to stop smoking isn’t enough. As with other addictions, if cravings can be controlled the success rate of cessation increases greatly. There have been several studies using TMS to curb nicotine cravings. Imagine the health and cost savings if smoking could be eliminated or drastically reduced. 1) Obsessions, which are unwanted thoughts, images, or urges that trigger distress. 2) Compulsions, which are repetitive behaviors or thoughts that a person uses to neutralize or counteract a negative feeling or thought. 3) Anxiety. OCD can be diagnosed if someone has either obsessions or compulsions, or both. Onset in adolescence occurs in about a third of cases. In another third symptoms appear in early adulthood, and in the last third they start later in life. If not treated appropriately, the disorder is often chronic, with waxing and waning of symptoms. Obsessive-compulsive disorder often eases with medications that affect the brain’s serotonergic system, such as clorimipramine (Anafranil), fluvoxamine (Luvox), and fluoxetine (Prozac). TMS is being used to reduce the obsessions and anxiety that occurs with OCD. Care First staff developed a protocol that focus on the supplementary motor area using a slow pulse stimulation. Dr. Phil featured OCD during an episode airing October 2012. The link below shows videos of neuroradiologic studies showing target areas for TMS. The treatment “Bob” received is TMS. Modulation of motor cortex excitability in obsessive-compulsive disorder: an exploratory study on the relations of neurophysiology measures with clinical outcome. Mantovani A1, Rossi S, Bassi BD, Simpson HB, Fallon BA, Lisanby SH. Randomized sham-controlled trial of repetitive transcranial magnetic stimulation in treatment-resistant obsessive-compulsive disorder. Mantovani A, Simpson HB, Fallon BA, Rossi S, Lisanby SH. Int J Neuropsychopharmacol. 2010 Mar;13(2):217-27. Safety and efficacy of repetitive transcranial magnetic stimulation in the treatment of obsessive-compulsive disorder: a review. Jaafari N, Rachid F, Rotge JY, Polosan M, El-Hage W, Belin D, Vibert N, Pelissolo A. A randomized controlled study of sequentially applied repetitive transcranial magnetic stimulation in obsessive-compulsive disorder. Kang JI, Kim CH, Namkoong K, Lee CI, Kim SJ. J Clin Psychiatry. 2009 Dec;70(12):1645-51. Effect of prefrontal repetitive transcranial magnetic stimulation in obsessive-compulsive disorder: a preliminary study. Greenberg BD, George MS, Martin JD, Benjamin J, Schlaepfer TE, Altemus M, Wassermann EM, Post RM, Murphy DL. Am J Psychiatry. 1997 Jun;154(6):867-9. *At this time, TMS is not FDA-aproved for the treatment of OCD, which would be considered an off label application. Transcranial magnetic stimulation (TMS) of the brain takes many forms and the response to TMS depends on several factors. Since then other studies have been published looking at the use of TMS for “anxiety disorders” of various kinds. The majority of studies have looked at TMS for the treatment of PTSD, panic disorder, and obsessive-compulsive disorder.